long time to meet you! They say that life is what happens when you are planning something else. Rev. Diana Harbison had always dreamed of being a nurse, but after graduating from the University of Rochester with a BSN degree, a neck injury caused her to change her plans. She attended Princeton Theological Seminary, interned for 18 months on a Navaho reservation with the Public Health Service, and soon found a new family in the congregation of Pine Creek Presbyterian Church. She has served as pastor there since 1982, and wouldn't want to be anywhere else. She's an open minded, enthusiastic minister that connects well with both her very young and mature congregation members. Rev. Harbison's two sons grew up in the Church and, although they now live outside Pittsburgh, they still maintain ties to the congregation. Her husband is a computer scientist who began singing with the church choir and is now a member of the Mendelssohn Choir of Pittsburgh. Even improbable beginnings can end up with rewarding surprises! Barbara Ann Mohajery, organist and choir director emeritus for the Pine Creek Presbyterian Church, grew up in the small town of Saranac Lake, located in the Adirondack Mountains of northern New York. In 1964 she received a Bachelor of Science degree in music education from SUNY Potsdam, New York and, in 1973, a Master of Arts Degree in Music History & Literature from the same university. 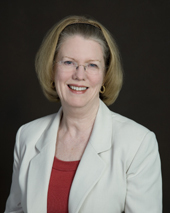 After having taught music for ten years, Barbara and her husband relocated to Pittsburgh where, in 1984, she earned her law degree from the University of Pittsburgh School of Law. In September 1992, Barbara established her own law practice in the lovely village of Aspinwall. Mohajery & Associates, PC concentrates its practice in the areas of business law, family law, wills and estates. Barbara began attending Pine Creek Presbyterian Church in the mid-90s, joining the choir shortly thereafter. 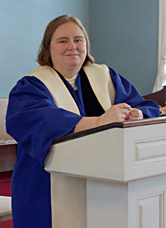 Barbara served as organist and choir director for twelve years at the Church prior to her retirement in 2015. Patricia (Trish) Staab grew up in the North Hills of Pittsburgh. She attended Chatham College as an undergraduate and Duquesne University for graduate work. 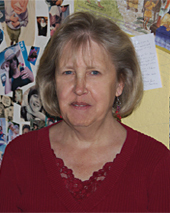 She has worked as a Reading Specialist for the Northgate School District for the past 25 years. She first attended Pine Creek Church as a child in 1959. In 1970, she was married to her husband, Ed, at Pine Creek. She has taught Sunday School at the church for the last 28 years. Trish is also the church treasurer.